Cover Story based on coalition politics. How regional parties coming together to challenge BJP in coming General election. What will be BJP’s and Congress’ strategy for this. HariMohan Mishra, Harvir Singh, Prashant Srivastava throws light on its permutation and combination. Also columns of BJP leader shahnawaz hussain, Mahesh RangRajan and Jagdeep S. Chhokar on this. Editorial based on Farmers concern will be key issue in Davos (world economic forum) and in the view of upcoming General election in India some relief is expected for them. Reservation for economically weaker section in general category. Will it become reality or is it a political gimmick? Government data shows Jobs and seats in govt educational institutions are shrinking. Will this Bill be stand on legal scrutiny? Cover Story based on Agriculture loan waiver. Harvir Singh, Prashant Srivastava throws the light on its various aspects. Ravi Bhoi, Kanchan Srivastava reports from MP, Chhatisgarh and Maharshtra. Column of T. Haque, M.V. Rajeev Gauda, G.S. Bindra analyses other aspects. Interview of Farmer leader V.M. Singh. Story on Rafale defence deal. How it is getting complex for government. Harimohan Mishra analyses it. Story on BJP’s national political strategy. How PM Narendra Modi and party President Amit Shah preapared the winning formulae? Cover Story based on Outlook Agriculture and Swaraj Awards conclave. Panel discussion on how agriculture crisis can be solved and how Co-Operatives and FPO can play crucial role in it. Agriculture and Kisan Kalyan Minister RadhaMohan Singh throws light on these issues. How women power is challenging patriarchal society and brahmanical patriarchy? Ranjana Kumari, Satish Deshpandey and Surinder Singh Jodhka analyses the present scenario. Cover story is based on election of Five states. How its result will shape the furure politics of the country. Harvir Singh analyzing the scenario of ground reality. While Prashant Shrivastava and Narayan Bareth reports from different areas of Rajsthan. Ravi Bhoi did ground reporting from Chhatisgarh and MP. M.S. Shankar reports from Hayderabad. Interview of Ashok Gehlot. Special package on Sabrimala Issue. Minu ittyipe throws the light on various aspects of controversy and development. Kanchan Srivastava took interview of indian gender equality activist and the founder of the Bhumata Brigade. Editorial based on how public interest issues are not becoming the part of mainstream debate. Cover story is based on the various challenges before the nation. Harimohan mishra, Ashok vajpayee, Giriraj kishore, Vishwnath tripathi, Vinod kumar shukla, Surjit patar, Ramdarash mishra, Asgar wajahat, Abdul bismillah, Manglesh dabral, Asad jaidi, kancha ilaiah shepherd, Kashinath singh, Sudhir pachuari, Vimal kumar and Arvind mohan throwing light on the issue arises in the field of literature, Society and Politics. Cover Story based on controversy over top investigating agency of the country CBI. Feuding bosses cause the CBI to implode. Harimohan Mishra analyze the all drama and implications. Ex CBI officer Amod Kanth and SC lawyer Prashant Bhushan’s interview on the issue. And opinion of Ex CBI officer N.K. Singh. 2- Special package on telecom issue. Prashant Srivastav throws the light on various problems regarding it, like call drop, slow speed etc. Bejon Mishra advocates for more freedom to TRAI to curb the problem. 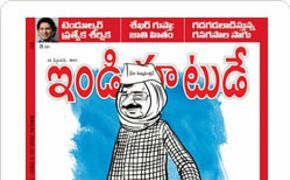 3- Editorial based on current scenario of burning issue of autonomy of institutions. 4- Interview of Ex Union minister and senior BJP leader Kalraj Mishra. Cover Story based on how Indian Cinema is evolving and changing its course. It has become more content based rather than name based. In changing scenario Content has become the King. Giridhar Jha, Rakhi Shandilya, Srikant Trivedi, Abhishek Shukla and Avinash Das throws the light on all this aspect. Special package on #MeToo Campaign in India and it’s up rise in various field. Arshiya Dhar and Siddhartha Mishra covers how it has rages bollywood, comedy and most damagingly, media. Giridhar Jha covering it’s other aspect, where #MeToo rages bollywood but its top actors have ‘no coments’ to offer. 1- Indian Rupee plunges to record low. And fuel prices hitting the sky day by day. All these factors are resulting into inflation and from common man to farmer, businessman everybody is getting affected. Prashant Srivastava goes in details of this issue. Pranav Sen’s article based on what government could have done to avoid such situation. Abheek Barua and Tushar Arora throws the light on when government will act and take appropriate decision. 2- How our many laws dilute our legal and constitutional rights. Salik Ahmad describes how our some of laws are archaic and need to be more liberal. Amnesty international India executive director Aakar Patel’s interview with Salik Ahmad. 3- Small and regional parties in north Indian especially in UP, Bihar, Jharkhand, Madhya Pradesh and Jharkhand can change the political game in upcoming general and legislative elections. Ajit Jha, Shashikant and Ravi Bhoi throws the light on it. Buy (Order online) Outlook Fortnightly Magazine (Magasin) Now. 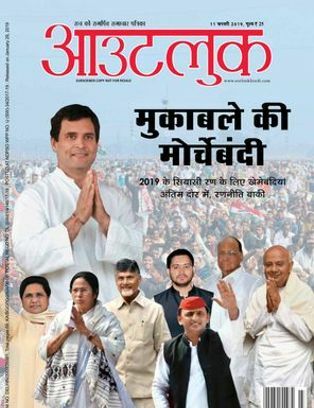 Outlook Fortnightly Magazine 11 फरवरी 2019 पखवाड़े पत्रिका: Cover Story based on coalition politics. How regional parties coming together to challenge BJP in coming General election. What will be BJP’s and Congress’ strategy for this. HariMohan Mishra, Harvir Singh, Prashant Srivastava throws light on its permutation and combination. Also columns of BJP leader shahnawaz hussain, Mahesh RangRajan and Jagdeep S. Chhokar on this. Goods and Services Tax. Till now 549 changes have been made within 500 days. It explains its complex and improper implementation. Harish Manav reports from Chandigarh that how loophole in GST increased Tax frauds. Indian made history in Australia by defeating them on their soul in Test Series. Though India defeated Kangaroos in ODIs too. In India’s victory pacers made big difference and Australian batsman fall big by facing them. Interview of batting legend little master Sachin Tendulkar. Outlook has rewritten the way news and and general interest magazines are presented in India. It is comprehensive yet concise and crisp, investigative and bold in its approach. 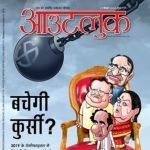 Outlook covers an array of topics ranging from current affairs, socio-economic issues, politics, lifestyle, entertainment, sports, international features, etc. Outlook reaches out to over 16 lakh upmarket, urban focused readers. Outlook has won a myriad of awards including the prestigious “International Press Institute” Award for Excellence in Journalism in 2007. Outlook Fortnightly Magazine prices are inclusive of shipping and handling through USPS. (for US deliveries). For other Countries shipping will be handled through their Postal Services (like Airmail in India). Address for delivery (Subscription) can be changed anytime. Please mail us the changed address details to info@magazinesemporium.com. 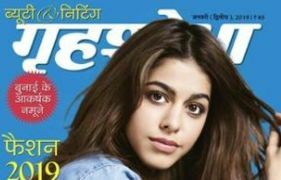 आउटलुक हिंदी Fortnightly Magazine subscriptions will commence either from current issue or from next coming issue. Outlook paakshik Hindi Magazine will be shipped immediately on getting the issues from the publisher. They are inclusive of Diwali and Annual issues. Any special issues will also be sent free.